Until I sat next to a rotund, middle-aged woman at the Patch Adams screening back in 1998, I had never before heard the term JoyGerm. But as she cheerfully explained to me before the picture commenced, being a self-described JoyGerm – yes, it’s a real thing; there’s even a National JoyGerm Day! – meant that she was always happy because she perpetually found joy in the world around her, and thus she always had a reason to smile. Initially annoyed with her (announcing and thus calling attention to her own convictions put me in mind of Jehovah’s Witnesses peppily knocking on doors), I still tolerated her far better than I did the atrocious Robin Williams movie that unspooled before us, a grotesquerie that ended up heading my 10 Worst list for that year. Naturally, she loved it – after all, her JoyGermness embraced its feel-good vibes from first sickening frame to last. Tomorrowland is a movie that in one sense is geared toward JoyGerms. It’s not an atrocity like Patch Adams (thank the Lord! ), but it shares DNA in that it seeks to be a positive and uplifting experience and, damn it, it’s going to grab you by the lapels and vigorously shake you until you agree! It’s full of up-with-people messages and liberal ideals and progressive viewpoints – all good stuff, especially when being turned into policies by politicians. But on the movie screen, such stances need to be organically woven into the fabric of the piece; otherwise, you end up with a heavy-handed, preachy screed. You end up with Tomorrowland. Well, I won’t spoil it, but let’s just say this is the sort of movie in which a discussion of global warming plays a supporting role and the senselessness of Hollywood movies and video games receives its obligatory culture-war spanking. In a way, this is Brad Bird’s Interstellar, as a hugely successful filmmaker (Bird’s behind such shining gems as Ratatouille, The Incredibles and Mission: Impossible – Ghost Protocol) finds that he has enough clout to wrap his personal philosophies into a multimillion dollar production without studio executives even balking. But whereas Interstellar at least attempted to provide shades of complexity to its creator’s musings, Tomorrowland is belligerently in-your-face and straightforward with its intentions, dissolving into a final third that becomes unbearably didactic. Bird’s soap box stance would be easier to take if it were in the service of an engaging film, but even on a basic storytelling level, this picture too often fails, particularly in its surface examination of Tomorrowland itself. 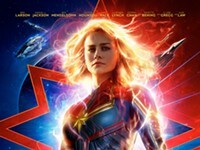 Indeed, for a movie ostensibly about imagination and wonder, the entire project has an empty, mechanical feel about it, with splashy effects that engage the eyes but not the senses, and ham-fisted attempts at symbolism. Clooney receives the star billing, and he’s acceptable in the picture, but the triumphant performances belong to Cassidy and Robertson. 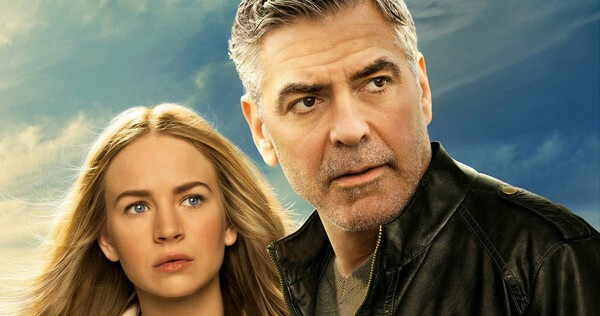 The turns by these two actresses go a long way toward salvaging huge chunks of the movie – whenever they’re absent from the screen or even relegated to the sidelines, Tomorrowland proves to be about as stale as yesterday’s bagels. Tomorrowland, Tomorrowland 3D and Tomorrowland: The IMAX Experience are not showing in any theaters in the area.